Oak trees are widely distributed across the globe, and thus provide an opportunity to investigate how climate drivers trigger leafing, flowering, and fruiting events across many ecosystems. Authors from the USA National Phenology Network and the University of California Santa Barbara used observations from Nature’s Notebook to examine how the phenology of two western North American oak species and two eastern and central North American oak species respond to variation in temperature, precipitation, latitude, longitude and elevation. The authors found that that for the western species in water-limited ecosystems, bud break and flowers occurred earlier and more intermittently throughout the growing season than oaks in the central and eastern US. These western oak trees also had longer duration of life cycle events than oak species in eastern and central temperate ecosystems. Also, western species appeared to be more influenced by geographic location independent of climatic variation, indicating there may be interactions with other factors, including local adaptation, driving their phenological activity. While many studies have investigated the relationship between climatic drivers and phenology of plants in temperate areas, few studies have explored these drivers in water-limited ecosystems. In arid and semi-arid areas of western North America, seasonal moisture can play an important role in triggering the onset of life cycle events. The authors of this study include two species of oak from a water-limited system, and investigate the intermittent periods of activity as well as the duration of phenology of these species. Gaining an understanding of how species respond to climatic drivers requires a large dataset with information on many species and ecosystems. This study was possible due to the large amount of oak phenology information collected by Nature’s Notebook observers across the country. The way that species respond to certain climatic drivers, such as winter precipitation or spring minimum temperatures, can be used to predict how these species will be impacted by climate change. 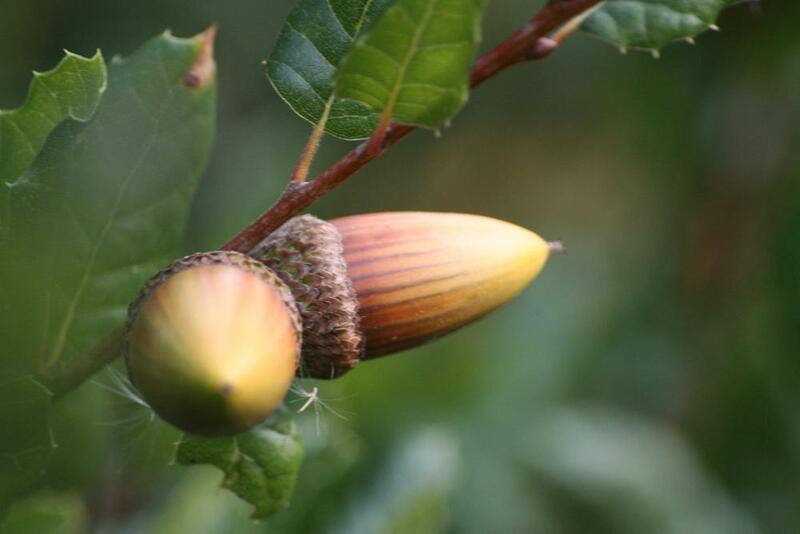 Shifts in oak phenology can alter flowering periods, which can impact fruit production, affecting seed dispersers and consumers. Acorns are important to a variety of wildlife, which could suffer from lack of food during critical periods. Oak trees may also face new exposure to leaf and seed predation that they previously escaped. All of these changes can disrupt oak-dominated ecosystems, threatening the diversity of species they contain. Citation: Gerst, K.L., Rossington, N.L., and Mazer, S.J. 2017. Phenological responsiveness to climate differs among four species of Quercus in North America. Journal of Ecology. doi: 10.1111/1365-2745.12774.